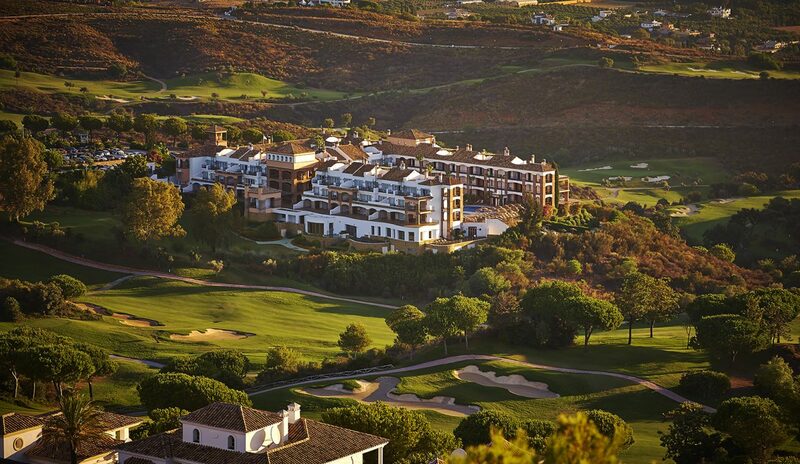 7 Nights at 4* La Cala Golf Hotel Spa, B/B. 3 rounds of golf at: La Cala Golf. Based on 2 persons sharing a twin/double room. The Costa del Sol deservedly enjoys a reputation as one of the most popular holiday destinations in Europe. Located in the province of Andalucia in the south of Spain, the 'Sun Coast' stretches for around 150 km, from Malaga to Gibraltar, taking in famous resorts such as Benalmádena, Fuengirola and Marbella. International flights arrive and depart regularly from both Malaga and Gibraltar, making the area very accessible from the rest of Europe. Spain is widely considered to be one of the best year-round destinations for golfing holidays. 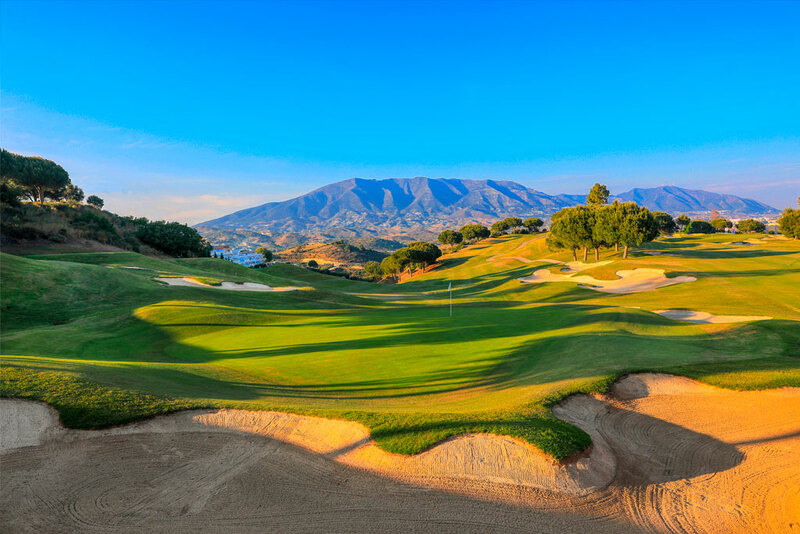 With more than 300 days of sunshine a year, the Costa Del Sol boasts a fantastic climate, picturesque scenery, stunning golden sandy beaches, tranquil fishing ports and famous leisure marinas such as Puerto Banus, making it an ideal destination for a golf holiday or golfing break. Add to this mix the excellent local cuisine, fascinating culture and vibrant nightlife, and it’s easy to see why the Costa del Sol is such a popular choice for golfing holidays and golf breaks. Spain is a hot mediterranean country in the south of Europe. Spain is famous for the spectacular golf courses in amazing locations and attracts tens of thousands of keen golfers and holiday makers every year. As a tourist destination, Spain is unrivalled in Europe and it is this tourism infrastructure, so carefully developed in Spain over the years, that allows CostaLessGolf.com to provide the cheapest golf holidays in Spain. 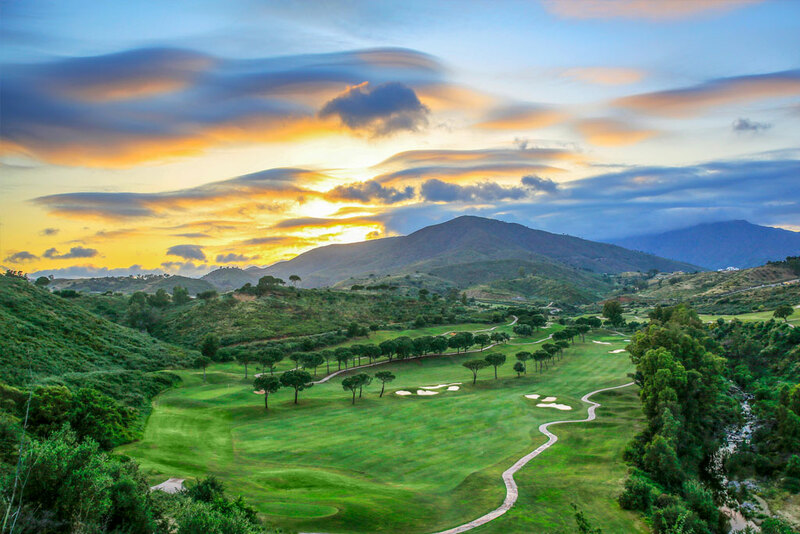 There are many popular golf locations in Spain and we cater for the most popular, which are located along the beautiful coastal regions of the Costa del Sol, the Costa del la Luz, the Costa Blanca and more. We have worked hard to provide the best quality Spanish golf holiday packages in these stunning areas, and we are confident that we can cater for your needs by combining many different factors together to create the perfect golf holiday in Spain. These factors include providing rounds of golf in the highest quality golf courses, arranging the accommodation for your entire stay, and we can also provide cheap car hire in Spain as part of the tailor-made golf holiday package. To begin booking your cheap golf in Spain, simply select the area of Spain where we can provide golf holidays from the menu on the left of the page. Once you have selected your Spanish area, there are a number of options available detailing our discount golf packages. You can pick one of our great value special offers or you can create your own golf holiday by selecting your golf courses, accommodation and car hire options from our easy-to-use golf package form. If you have any questions regarding our cheap golf holidays in Spain do not hesitate to get in touch with us to discuss how we can help you enjoy your Spanish golfing experience.